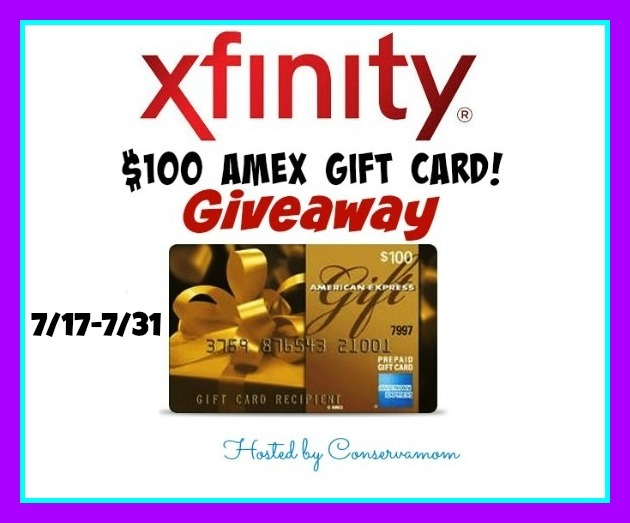 One of our blogging friends is doing a great giveaway for a $100 American Express gift card and had to share it with you guys. You can use it anywhere so enter now! The speedy service will launch in Atlanta, California, Chattanooga, Chicago, Colorado, Houston,Knoxville, Miami, Nashville, NW Indiana, Portland, Twin Cities, Utah and Washington state. It’ll be available to about 18 million homes by the end of the year – more homes in more neighborhoods than any other network! While you may not need these Internet speeds right now, the point of the new 2 Gbps speed is to build up infrastructure for the future, where these fiber-run networks will be the norm. Making this an indispensable commodity in the near future. Xfinity wants to know what your favorite Tech invention is that you just couldn’t live without! So head below and enter to win a $100 American Express gift card! Giveaway open to US only and must be 18years and older to enter. Void where prohibited. My desktop Dell for home and if traveling my Kindle. My computer!!! It is my lifeline because my husband requires care 24/7 and I rarely leave the house. i couldn’t live without my desktop pc. I can’t live without my radio…I mean, my laptop! I use my laptop all the time – could not manage without it! Couldn’t live without my laptop or my phone. I can not live without my phone and desktop, I read books, do work, watch movies all from both. They are definitely a major part of my life. My phone (and tv — even tho that’s not very techie!) Thank you for the giveaway. I would hate to have to live without my iPhone. I have so much information stored on it and it makes for such convenience. My iPad Mini, I take it everywhere! My pc, yes I am an old dinosaur! My cell phone has become my right hand. I would by at a loss with out it for sure. I’d go crazy without my laptop! I would say my cell phone. I couldn’t live without my apple products. My Apple TV and my iphone. My phone! It’s my computer! I couldn’t function without a pc of some sort. I couldn’t live without my home PC. Use it everyday! I am not attached to any tech gear. I rather have human contact. Face to Face. I use my laptop for emails only. I am pretty attached to my laptop! I love my laptop the best. Definitely gonna have to say my phone, which is an iPhone 6. I could NO way live without my Laptop its my communication !! I love win This American express gift My kid be going back to school it would help us I don’t have any extra dollars to spend since we strapped that’s why I Stay up enterthese contests Hopefuly to win it would be Great..
That’s a tough question — it’s a tie between my smart phone and my laptop. I could not live without my cell phone. i couldnt live without my laptop. i am always on it! My PC and the modem – to comment me to the internet!!! My laptop, definitely. I wouldn’t want to give up my smartphone, but I got along fine before it. The laptop totally changed the way I use tech on the go. I couldn’t live without my laptop. I use it for so many necessary things for sure. Definitely my computer and MP3 player. Thanks for the chance to win! Could live without my laptop. Does everything but slice bread. My iPhone! I have it everywhere I go. My desktop. I use it for work and a couple of hobbies and I really look forward to my time online every day. Could not do without a Smart Phone for sure! I’m pretty dependent on my laptop. My laptop to enter sweeps! I am glued to my kindle. Books books books!! It would be difficult to live without my phone. I couldn’t live without my PC. I could not live without my cell phone. I use it every day to communicate with my husband and kids. Ipad; it is how I communicate with family, read about the news, read product reviews, etc. My tablet makes my life easier. I couldn’t live without my desktop PC. It is my lifeline to the world!